“It’ll stink! Tell me if you can’t stand it. My cat adores it.” Sweaty armpits, musty old rooms, smelly feet were all attempts at describing the smell of the offending plant. For a Volunteer in the Herbarium, used to sorting dry, odourless specimens, this was not only an unusually strong warning, but a moment of excitement and anticipation, and sure enough, the smell wafted nearby, then hit me as I opened the door of the cabinet. Valerianaceae! It has tainted all the other specimens in the cabinet, this pungent, remarkable and utterly compelling smell. Apparently, even when it’s young it’s pleasantly fragrant, but the smell is much strengthened by drying. And worthy of note. Nardostachys jatamansi (D.Don) DC. is the spikenard, or nard of Scripture, ‘while the king was on his couch, the nard gave forth its fragrance’ from The Song of Solomon, also in Matthew (26:7) ‘the alabaster jar of costly perfumed oil’, used to anoint Christ was nard. The aromatic oil it produces was considered so precious by the Romans that poet Horace promised Virgil a cadus of wine for a small alabaster box of spikenard. It was also used to anoint guests at festive banquets. The leaves surrounding one of the young tufted shoots were torn up along with part of the very fragrant root and sold as a drug, conveyed from the Himalayas where it grows to Turkey, Egypt and India where it was sold at a great price. Pope Francis has included the N. jatamansi (D.Don) DC. in his coat of arms, to the right of the star, as it symbolizes St Joseph. Hugely popular in Ayurvedic medicine, the oil extracted from N. jatamansi (D.Don) DC. roots and rhizomes is used to treat epilepsy, insomnia, stress and heart arrhythmias. Sadly it’s popularity and endemism to the Himalayan region have led to it’s critically endangered status on the IUCN Red List. 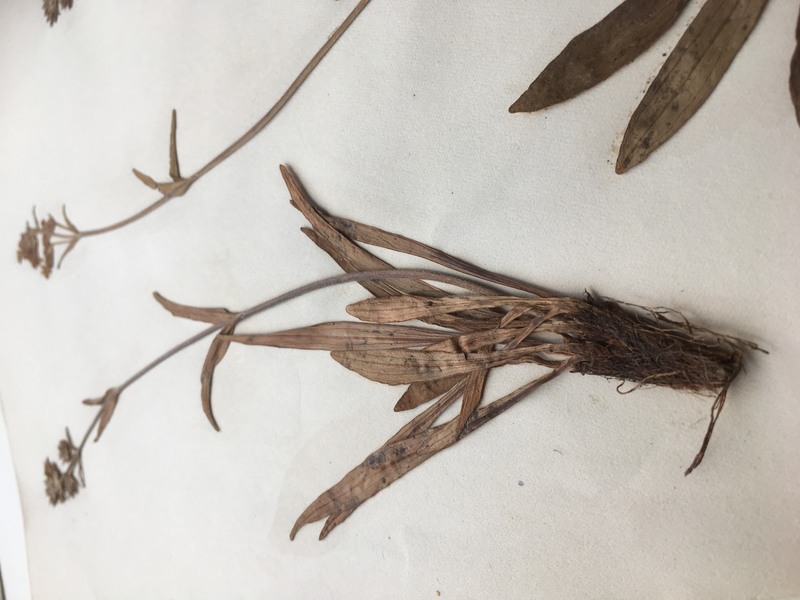 Sometimes during volunteering sessions the specimens themselves provide interesting insights into historic recreational plant use. The example below, another member of this family, Valeriana jatamansi Jones, can apparently be used to scent tobacco! 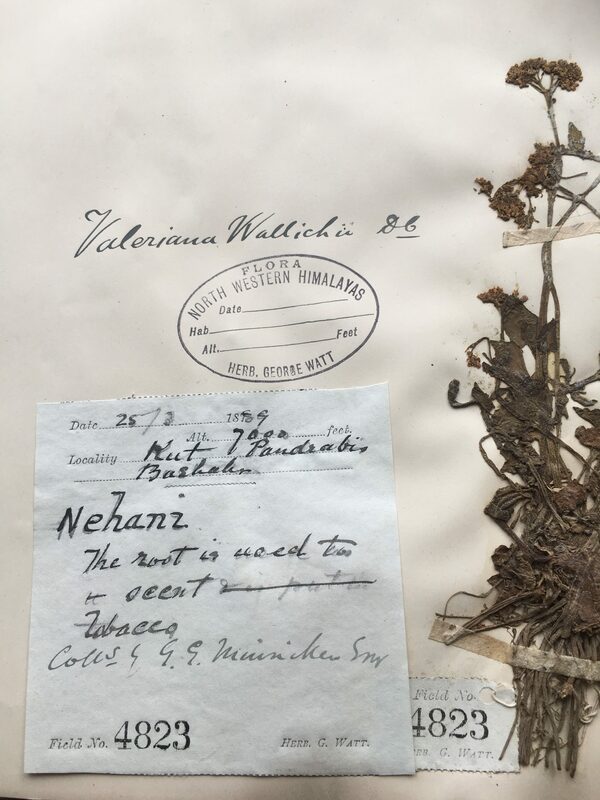 The collection label of this herbarium specimen of N. jatamansi informs us that the roots can be used to scent tobacco. 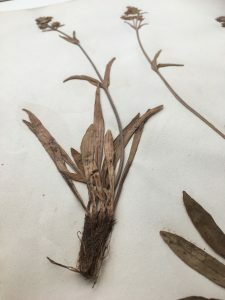 This post was written by Jane Cummins a herbarium volunteer working on the South Asia Curation Project. Our herbarium collections are organised into 19 floristic geographical regions. Traditionally at RBGE region 5, South Asia, has included: Pakistan, India, Nepal, Bangladesh, Bhutan, Myanmar, Sri Lanka and the Maldives. At present this region contains over 400,000 specimens. The aim of this project is to split region 5 into five subdivisions which will enable researchers to work with the specimens more easily. Johns, C.A. (1911) Flowers of the Field. London: London, Society for Promoting Christian Knowledge. Libreria Editruce Vaticana, (2018). The Coat of Arms of Pope Francis. [Image] Available at: http://w2.vatican.va/content/francesco/en/elezione/stemma-papa-francesco.html [Accessed 02 Oct. 2018]. Libreria Editrice Vaticana, (no date). 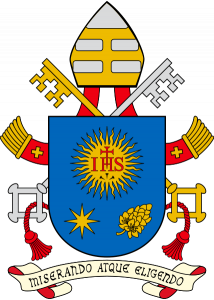 The Coat of Arms of Pope Francis. Available at: https://w2.vatican.va/content/francesco/en/elezione/stemma-papa-francesco.html [Accessed 02 Oct. 2018]. Wolters Kluwer Health, (2018). Jatamansi. Available at: https://www.drugs.com/npp/jatamansi.html [Accessed 02 Oct. 2018]. Pukka Herbs, (2018). Jatamansi. Available at: https://www.pukkaherbs.com/our-mission/pukkapedia/jatamansi/ [Accessed 02 Oct. 2018]. Ved, D., Saha, D., Ravikumar, K. & Haridasan, K. 2015. Nardostachys jatamansi. The IUCN Red List of Threatened Species 2015: e.T50126627A50131395. http://dx.doi.org/10.2305/IUCN.UK.2015-2.RLTS.T50126627A50131395.en. [Accessed 02 October 2018].